There were some outstanding nominations for the 2018 MEI Young Person's Award, so making a decision on the recipient was not easy. A decision has nevertheless been made and the name of the very worthy winner will be announced in November at Flotation '19, when the Award will be presented (a bit of a clue there?). Now that we are well into 2019, it might be time to start thinking of who you might like to nominate for the 2019 Award. Nominations, for persons under 35 years of age at December 31st 2019, should be submitted by email to bwills@min-eng.com by February 7th 2020. Nominations should include the name, age and affiliation of the nominee, and reasons for the nomination. The recipient will receive an engraved award and a complimentary registration to any MEI Conference in 2020, where the presentation will be made. We are pleased to announce that Chris Rule, an Independent Consultant with Seymet Pty Ltd, South Africa, and a Director of MEI's Industry Advocate, CEEC, is to present a keynote lecture at Comminution '20 next year. ﻿Chris graduated from RSM, Imperial College London in 1979 with MSc and DIC in Extractive Metallurgy and BSc (Hons), in Mineral Processing at University College Cardiff. He has been involved in minerals processing, primarily in the PGM industry since 1980. 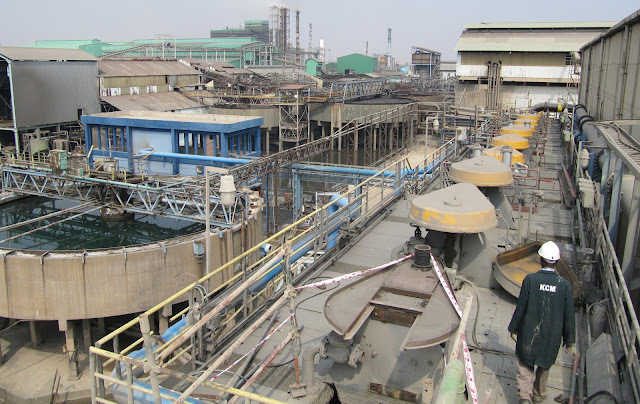 Roles include Impala Platinum, Genmin, BHP and Anglo American, including senior operating management positions in South Africa and Zimbabwe; interspersed with periods in development, process design and project execution for concentrating, smelting, base and precious metal refining for plant installations. He formerly led Concentrator Technology at Anglo American Platinum, responsible for technical operational support, process plant design and optimization and technology development. Chris has been heavily involved in initiating and leading a number of fine grinding projects using stirred milling in both mainstream regrind and flotation concentrate regrind applications; mostly IsaMill technology. His areas of interest include sensor sorting of ROM ore, development work with HPGR circuits, multistage energy efficient ore processing circuits and mineralogical routine analyses on plant samples. Entitled "the slow journey to practical energy efficient comminution" the keynote will highlight comminution as the most energy intensive of all mineral processing requirements. The greater proportion of lower grade and more complex mineralogical ore resources exploited has exacerbated this over time and energy per tonne processed from the mine, and finer grinding for liberation of values from gangue, have been driving this trend. The pressures on energy generation and use, both from an environmental and financial perspective grow continually. The South African scene clearly demonstrates the dilemma facing energy intensive industries, the demise of Eskom and its continual demand for relatively high annual rate increases illustrating the threat to the mining industry. Chris will show how, despite some new emerging technologies gaining a foothold in the industry, progress in limiting this higher energy intensive trend has been small. The road map for a combination of known and demonstrated ore pre-concentration and more efficient size reduction technologies will be described, but the reluctance of industry to move away from established flowsheets and to new combinations of processes remains the single largest barrier to change. Chris will discuss recent trends in new concept flowsheets and will ask where will the major changes be seen in the near future? See #Comminution20 for the latest updates on the conference. Good to be back in Denver, my favourite American city, for the SME Annual Meeting, which commences late afternoon. Due to the 7 hour time difference I was up and about early this morning, and after a great all-American breakfast I was out into a clear, crisp Colorado day, with a temperature of minus 6C, 15 degrees lower than what I left behind in UK. I am always on the look out for the first spotting of a mineral processor, at least one that I recognise, or who recognises me, and this year it was Rob Dunne, who I caught up with in the SME Bookstore. 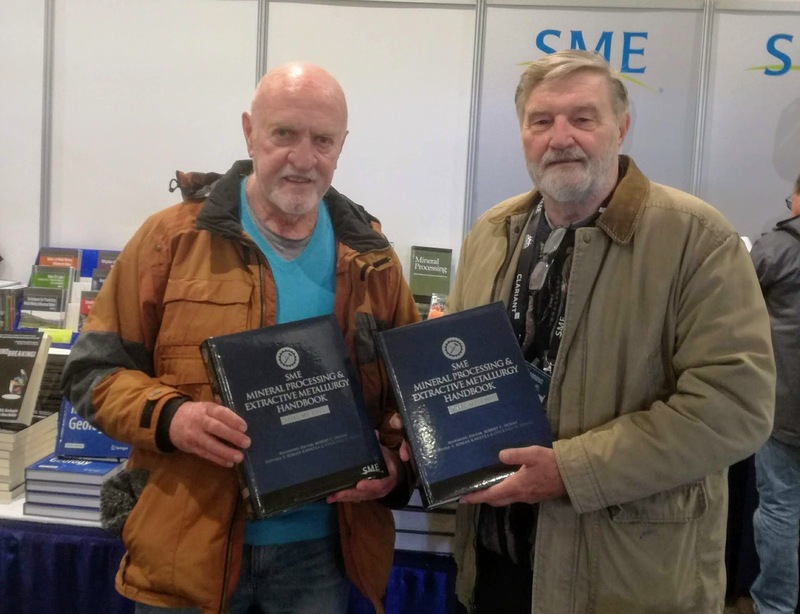 Rob is the managing editor of the new SME Mineral Processing Handbook, which will be launched tomorrow. I am here, as always, to network and to find out what people are up to, so I have no real agenda for the next few days. I will publish a report on news of people and innovations next Monday, and will submit daily updates on Twitter. I invite you to view my tweets by following me on Twitter, or just click on the link below. Last night's Cornish Mining Sundowner was held in the Stannary Bar in the University of Exeter's Tremough Campus, Penryn. Before we adjourned to the bar there were three presentations, with news of the three major mining projects in the county. Owen Mihalop, COO of Strongbow's South Crofty Tin Project, one of the world's highest grade hard-rock tin deposits, said that the project was on course for start-up in 2020. Dewatering of the mine, which closed in 1998, is now a priority, and a treatment plant is underway to treat the water which will be discharged into the nearby Red River. Processing of the ore will be based on that of the old Wheal Jane mill, which treated the South Crofty ore in the late '90s, by gravity and flotation at a recovery of 85-90% tin. It is envisaged that the mill will process up to 1500 tpd, with preconcentration either by DMS or electronic sorting. DMS was used at the old South Crofty mill, but major advances in electronic sorting (which will be highlighted at Physical Separation '19 in June) might mean that this method may be adopted. There will be no tailings dam, as it is planned to backfill new and old worked out stopes using thickened tailings paste. Brett Grist, Exploration Manager of Cornwall Resources' Redmoor Project, updated us on progress of The Redmoor Tin-Tungsten-Copper Project, which is located between the village of Kelly Bray and the small town of Callington in southeast Cornwall. The original Redmoor Mine is one of a group of mines that were opened in the 18th century and continued operating until 1892 when they were forced to close due to low tin prices. Sections of the Redmoor Mine were re-opened between 1907 and 1914 and again in 1934. Redmoor now ranks as one of the leading undeveloped tin-tungsten mining projects in the world, said Brett, who highlighted the world-class potential of the Redmoor project as it recently revealed a new mineral resource estimate. It is estimated that Redmoor contains some 137,000 tonnes of inferred tin resources, up from 45,000 tonnes. This provides the company and its joint venture partner, New Age Exploration, confidence to progress towards the goal of restarting mining at Redmoor. Lucy Crane provided an update on Cornish Lithium, which is focused on exploring for lithium within the hot geothermal brines that naturally occur deep within and around the Cornish granites. Lucy is an exploration geologist and Corporate Development Associate with Cornish Lithium and recently one of the winners of Cornwall’s prestigious 30 Under 30 Awards, which celebrate Cornwall’s brightest young business talent and those entrepreneurs doing great things in the county. Cornish Lithium now has a team of 11 geologists and metallurgists, who are targeting and mapping the deep sources of lithium brines in the old mining areas of west Cornwall. The brines average 227 mg/l and as the standard method of concentrating such brines, evaporation, is not an option in Cornwall's climate, it is likely that a process based on reverse osmosis and ion-exchange might eventually be adopted. Interestingly the International Tin Association (ITA) last week released a timely report comprehensively detailing its latest research on potential new market opportunities for tin in lithium-ion batteries. The ITA tracks global R&D, patents and markets for tin and has identified a strongly growing interest in tin in energy materials and technologies, including lithium-ion batteries. Tin has a wide range of technical properties that mean its uses extend to many areas of everyday life. For the same reason, it can adapt well to meet emerging needs for new materials that can generate, store and deliver tomorrow’s energy. ITA has identified nine technology opportunities for tin in lithium-ion batteries, at the same time reviewing the current state of development in lithium-ion batteries generally, including the latest market data for applications in electric vehicles and energy storage. Pete Ledingham, Project Manager for the United Downs Deep Geothermal Power project (UDDGP) was one of the many attendees last night. The UDDGP aims to prove the technical and commercial viability of generating electricity from geothermal energy in Cornwall. Drilling began 3 months ago (posting of 1st November 2018) and already the first well is the deepest hole in Cornwall! Last week it passed the previous deepest, that of the Rosemenowes Hot Dry Rocks Project, which attained a depth of 2,660m in the 1980s. 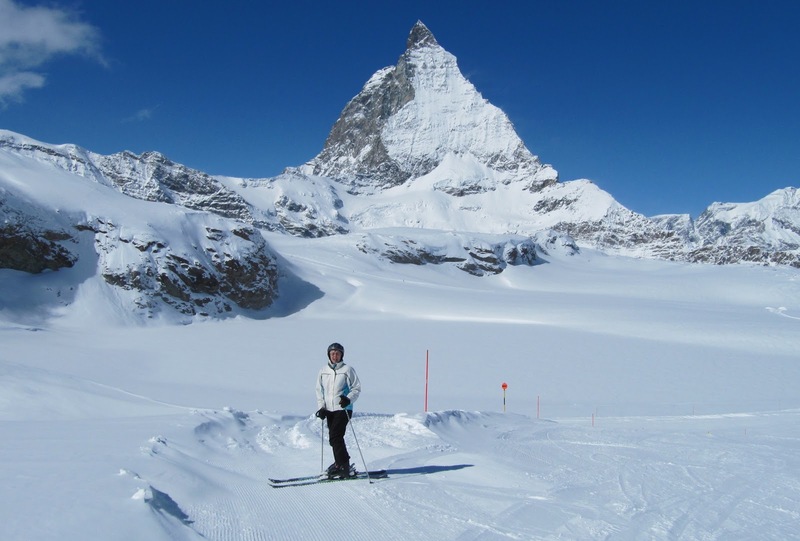 UDDGP plans on eventually being the deepest in the UK at 4,500m. I was pleased to be able to congratulate Nick Wilshaw, Managing Director of Cornish-based Grinding Solutions Ltd (GSL) on his appointment as a Director of Australian-based Coalition for Eco-Efficient Comminution (CEEC) (MEI Online). 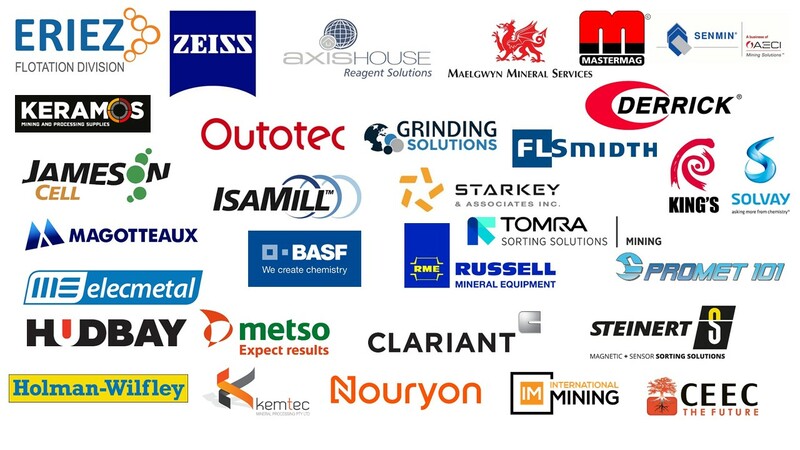 CEEC is an Industry Advocate for MEI's Physical Separation '19, Comminution '20 and Sustainable Minerals '20, and GSL is a sponsor of Comminution '20. As I've said many times before- it is all happening down here in Cornwall! A full listing of all MEI Conferences in 2019 and 2020 can be found on MEI Online. These conferences cover the whole field of mineral processing, so there is something there for everyone. Presenting your work at an MEI Conference also gives you the opportunity of publication in a Virtual Special Issue of Minerals Engineering. Many thanks to all the companies who are providing sponsorship of these forthcoming events. The Annual SME Meeting starts next Sunday in Denver. One of the world's great mining industry networking events, I will be reporting, as always, on news of mineral processing innovation and people, and this year there will be much more to report on than in recent years. This year's event is special as an International Symposium honours the 90th birthday of one of the world's greatest mineral processors, Prof. Douglas Fuerstenau, Emeritus Professor of the University of California-Berkeley. The Symposium commences on Tuesday February 26th, but on the previous day, Prof. Fuerstenau will present a keynote lecture as a prelude to the Symposium, describing his seven decades as a mineral engineer. The Mineral Processing Division of the SME will also present the prestigious Robert H. Richards, and Milton E. Wadsworth Awards, to Dr. Jaime Sepulveda and Dr. Kathryn Sole, who will deliver award lectures. Monday afternoon will also be special as both Prof. Fuerstenau and Prof. Jan Miller, of the University of Utah, will be presented with the International Mineral Processing Council's highest awards, the Distinguished Service Award and the Lifetime Achievement Award respectively. Neither of them were able to travel to Moscow last year to receive these awards at the IMPC Congress. Later on Monday afternoon there will be an official launch of the new SME Mineral Processing Handbook, which addresses the new technologies and important cultural and social issues that are important to today’s minerals community. I intend to spend most of Tuesday, and Wednesday morning, wandering around the huge exhibition, so if you have any news which you think may be of interest to mineral processors, please do let yourself be known to me. 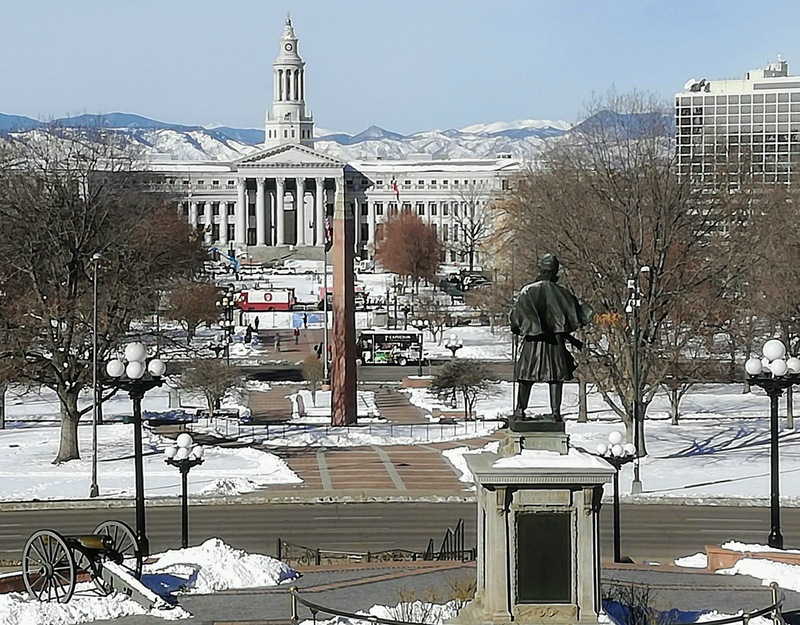 I hope to publish a report on my experiences in Denver on Monday March 4th, and I will tweet regular updates using the hashtag #SME2019ACE. Hope to catch up with some of you next week! It's not too late to send in abstracts for Computational Modelling '19 and Physical Separation '19, but Barry is starting to put the programmes together so be quick! If you would like to submit an abstract, please contact Barry to let him know. If you are coming to Falmouth this June, and have the chance to stay over the weekend, then you may want to take part in the Walking with Poldark tour organised by Cornish Lithium Ltd on Saturday 15 June, before spending the evening in one of Falmouth's pubs listening to some nautical tunes at the Falmouth International Sea Shanty Festival. Cornwall has a very rich mining heritage, once being the world's largest producer of copper, and then tin. Life in the deep mines of the 19th century was extremely arduous, but the skills that the hard-rock miners acquired led Cornwall to be regarded as the ‘birthplace of modern mining’. 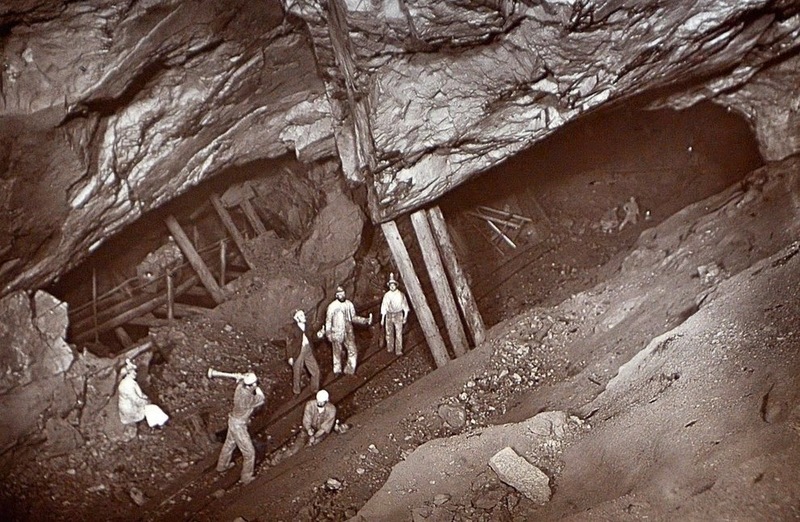 In Cornish mining's heyday in the mid-19th century, upgrading of ore, particularly of the tin ores, was achieved by physical separation methods, hand sorting and simple gravity techniques, the only available methods at the time. So it is appropriate that MEI's Physical Separation '19 will be held in Cornwall, Falmouth being only 8 miles from the Gwennap Parish, once the "richest square mile on earth" due to its abundant copper deposits. On the final afternoon of Physical Separation '19 delegates will be coached 13 miles for a short visit to the ruins of Wheal Peevor in the historic Camborne-Redruth area (see posting of 1st July 2018). On Saturday June 15th, delegates and partners staying on in Falmouth are invited to join the Walking with Poldark tour, organised by Cornish Lithium Ltd, a wonderful 6 mile walk on Cornwall’s rugged north coast, in the area where most of the mining scenes for the BBC series Poldark were filmed. We will be picked up from the Falmouth Maritime Museum on Saturday morning and coached the 35 miles to the extreme west of Cornwall, passing through the town of Penzance. The walk commences at the old Geevor Tin Mine, passing Levant Mine, then proceeds along the coast to the famous Crowns engine houses at Botallack, passing the ruins of the ‘buddles’, stamps and arsenic works and the ruin of the Wheal Owles engine house, where most of the mining activity in the TV series was filmed. This is the area of Cornwall’s submarine mines, which worked far out under the Atlantic Ocean. We will then continue to Cape Cornwall, where the coach will be waiting for us to take us to Zennor for lunch in the local inn. In the afternoon it is hoped to arrange an underground tour of an old 19th century tin mine. I will post more details of this when available. There will be a nominal fee of £25 for this day out, collectable on the coach. Book your place here. I have walked this stretch of coastline many times and can vouch for it being an opportunity much too good to be missed if you are able to stay on after the conference. Updates on Physical Separation '19 can be found at #PhysicalSeparation19.